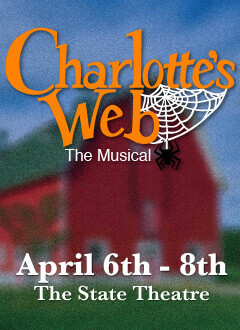 This exciting, new musical version of Charlotte's Web brings a new dimension to E. B. White's beloved novel with music and lyrics by Charles Strouse ("Annie", "Bye Bye Birdie"). Wilbur, Charlotte, Templeton and all the barnyard animals along with Fern and the townsfolk bring this classic to life in a joyous musical experience.